Copyright 2017 © GVP Media FZ LLC. All rights reserved. Believe it or not, a website footer design can either make or break your overall website user experience. It adds hierarchy to the overall website design. Also, it gives visitors an easier access to navigation despite being away from the header. Not sure what a website footer should include? Here’s a checklist that will provide you with an overview on what your footer should look like. Making communication easy and quick has to be of utmost priority. After convincing your visitors with good content, you should make it easy for them to see how they can reach out to you. By showing your contact details or providing a contact form at the end, it is almost automatic that it will be the next step they will take. Also, doing so can help you avoid causing the visitors inconvenience. Imagine having to scroll up just to go back to the header for information. Quite a hassle, right? You can choose between a contact form or just to simply display your contact information, such as your telephone number and email address. Add an “About Us” section on what to include in a footer design. However, remember to just keep it short and simple, around two to three sentences. What can putting a short introduction to your company do to create a user friendly footer design? First of all, it can remind your visitors who you are as a company and what you can do for them. Also, it can be a good indicator that your company is confident in its own identity. Taking pride in your own identity can be a good marketing strategy since it shows that your company is stable, reliable, and open. Think of it as a way to building rapport and trust with your visitors. Let your visitors know that you are active on social media! This can help you give them the impression that you are a business that is kicking and alive. Also, they will be more encouraged to engage with interactions your company provides. When sharing your social media accounts on your website, you have two options to choose from. The first one is to feature each icon of the respective social media sites. This will simply provide them with iconic logos to visit the social media website for their preference. Another idea you can follow is to have a space dedicated to the social media posts themselves. This means that visitors can already view the recent social media posts in your footer via a widget. This can encourage visitors to check out your posts or even follow them for updates! Do you want to increase visitor engagement on your website? Then what you can do is to provide them with options to do and explore in your website. Adding a space for your most recent posts will give them an idea of what they should do next. It will also be a huge advantage for you if you are regularly posting blogs or events. Aside from gaining more page traffic, it can also help you an active following. It is a great way to finally let those well-written content shine. A sitemap is probably one of the most common elements in footer design. Why? Because it will provide the visitors a map for the whole website. It is a collection of all the links organized according to the site’s navigation. In reality, not most users click the link. But keep in mind that the sitemap is not just for the website visitors. It is considered best practice by search engines when you provide a sitemap. This will help them understand the website structure easier, which can optimize your search engine rating. If there’s something your website should include in footer design, it should be the copyright. In today’s times, content stealing is just all over the place and difficult to avoid. You have to do something to protect your website’s content. It also serves as a warning for anyone who’ll try to use your content without credits or permission. It might seem like a small step towards such a big issue, but it still offers you protection. Let your footer design be also an attempt to convince people to do something right now. Either subtle or obvious, a call to action is an essential part of the footer. It helps people get an idea what they should be doing next. For example, after browsing through your website, you want people to subscribe to your newsletter. You can do so by taking advantage of “Recency Effect”, where people remember what they last saw the most. By creating eye-catching visuals or even just a single button, you will already have the attention of the visitor. That is why it is important to make your call to action as visible as possible. Now that you know what to add in website footer, here are some final tips for website footer design. 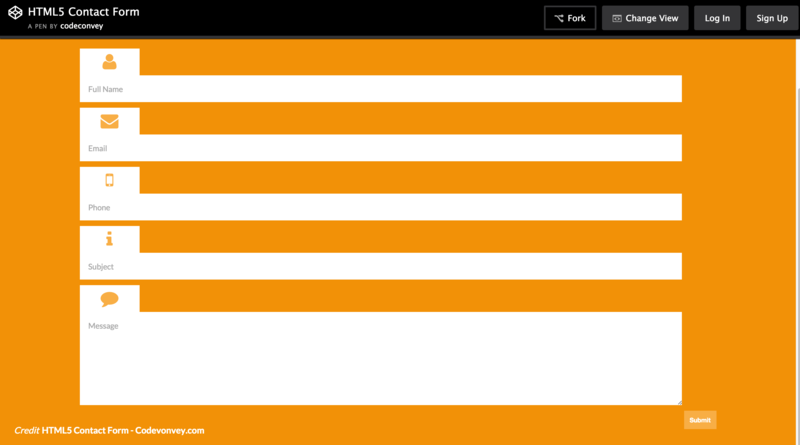 Make sure that your footer design is easy to view and interact with, especially for mobile users. Remember, how users experience your website will be how they will perceive the service you offer. So you should make sure that your design will impress. WE ARE A POSSE OF WHACKY CREATIVE PROS; YOUNG AT HEART AND IN SYNC WITH THE UNIVERSE. WE ARE EPONYMOUS WITH THE MAN ON THE STREET AND THE WOMAN IN THE BOARDROOM. 2017 © GVP Media FZ LLC. All rights reserved.